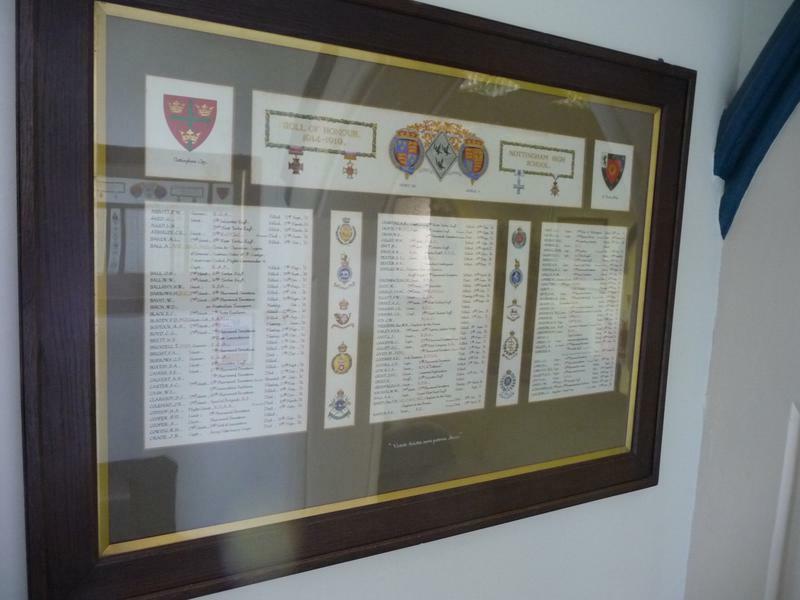 There are two identical rolls of honour A-L and M-W. The same inscription and decoration are on each. 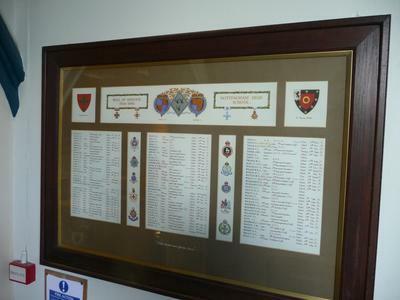 At the top is the coat of arms of Nottingham , the school motto above the royal coat of arms of Henry VIII and George V which are either side of the School Crest. Also there are four medals won by those commemorated and the names are written on three separate sheets interspersed with badges and insignia of regiments of those who served.